Vestibule just inside the door leading to West End Avenue. 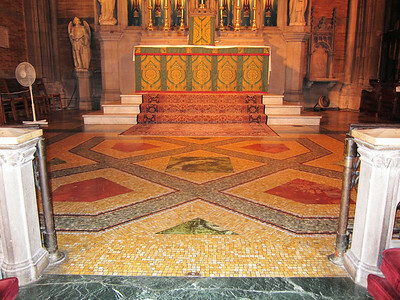 Photo taken from stairs leading to the Sanctuary. 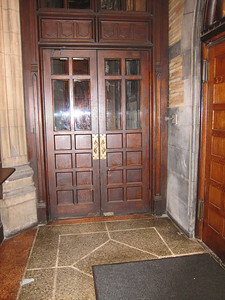 To the left, additional stairs lead to the basement common room and one of the two restrooms. 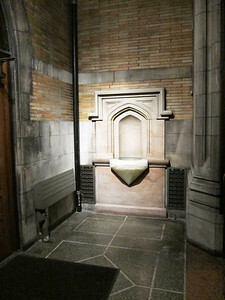 The other restroom is off the landing from where this photo was taken. 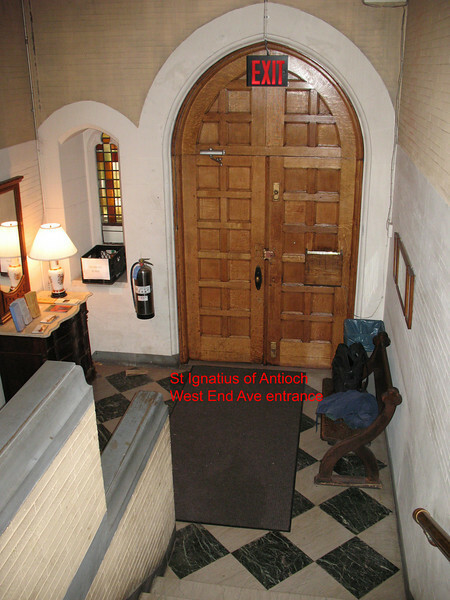 St Ignatius of Antioch: The vestibule that leads from the main entrance on 87th to the back of the sanctuary. 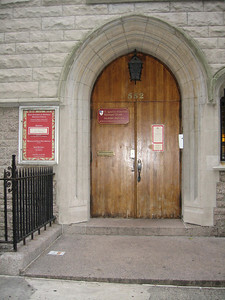 Main transit point for patrons coming in for performances. 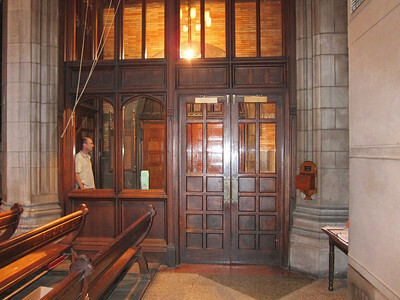 Note: Doors to outside swing out, once the outer sliding doors have been moved. 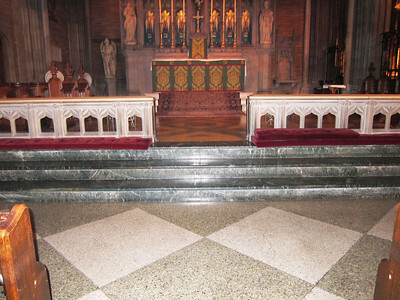 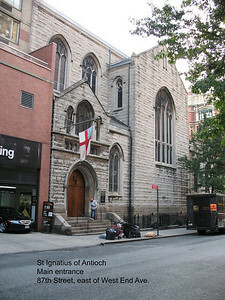 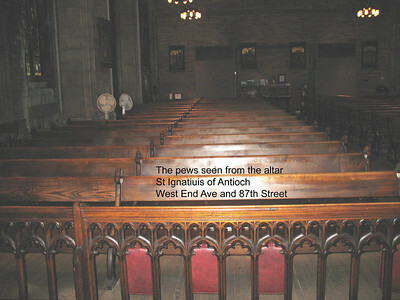 St Ignatius of Antioch: The east side of the vestibule leading to 87th Street. 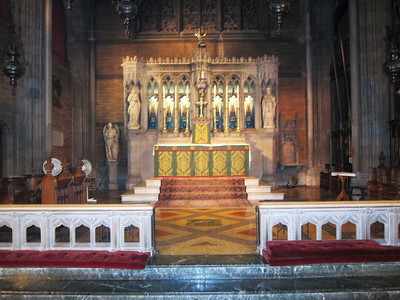 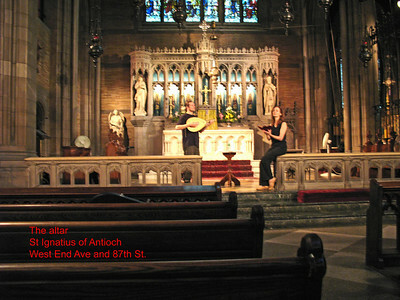 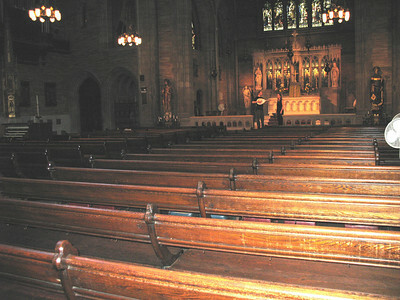 A view of the Sanctuary from just inside the main concert doors off W. 87th Street (doors are to the right of where the photographer is standing). 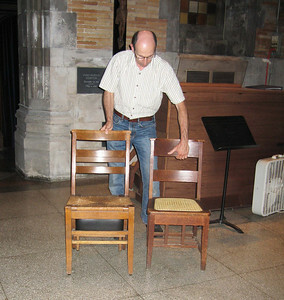 Two chair heights are available for musicians to sit on.